Amethyst has been known as the most highly prized form of quartz. It is the presence of manganese in quartz that produces the purple color, and iron content varies the coloration. 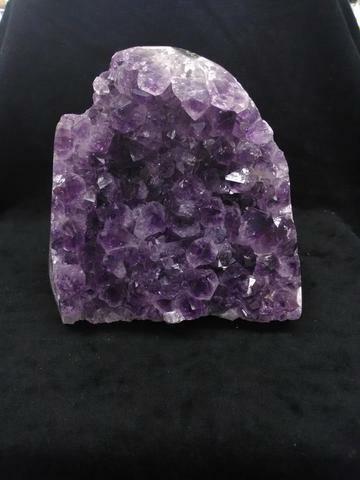 Amethyst may be found throughout the world; our specimens are from Brazil and Uruguay. Physical representative of the Violet Ray. Cuts through illusion. Enhances psychic abilities. Excellent for meditation. Aids channeling abilities. Sedative, protective. Enhances feeling of contentment, and a connection to one's spirituality. Stone of peace and strength. Activates crown chakra.